This fairytale-like castle, which exemplifies some of the best Scottish Baronial architecture, seems to have grown naturally out of the beautiful rolling hillsides of Aberdeenshire. The Great Tower stands just as it was when completed by Master William Forbes - 'Danzig Willie' in 1626. Forbes purchased the partially completed structure from the impoverished Mortimer family in the year 1610 (See also our Orleton Manor user story). The Forbes family resided here for 350 years until 1963, when the property was gifted to the National Trust for Scotland (NTS), and is currently the seat of the Clan Sempill. Within its walls is a collection that includes an excellent show of family portraits and 17th-and 18-th century furniture. 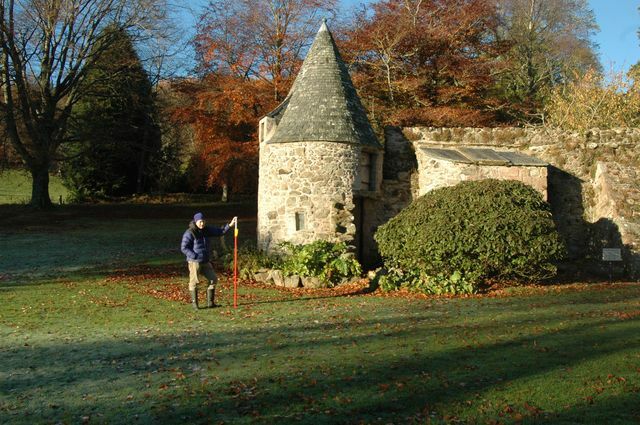 This perfect Scottish castle remains as unspoiled as it was when lived in by the Forbes-Sempill family. 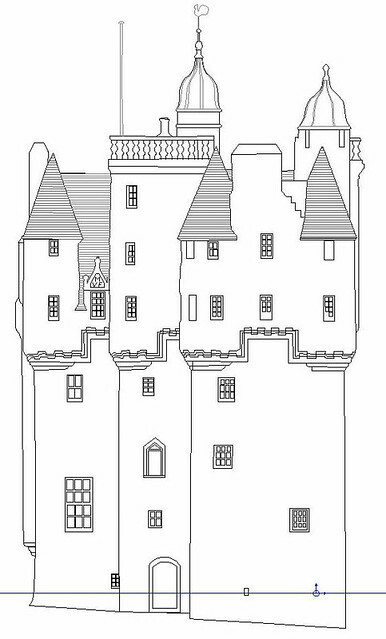 DJA/GSS were asked by the NTS architects, Simpson & Brown, to provide a detailed survey prior to the start of extensive work on the exterior walls of Craigievar Castle. It was important that a full and accurate recording was made of the castle prior to these works to act as a record, and a reference with which to record any further details uncovered during the works. We found that the ease of use and speed of both scanners was sufficient to record the whole building in just two days. Due to the northerly location and the time of year (late November), the days were very short, with sunset at around 3pm, but as both laser scanners are fully capable of working in the dark (although unable to capture colour data), this was not a problem. We also experienced sub-zerotemperatures on both days, but this did not effect any of the data capture. On return to our offices, the scan data was processed using FAROScene, compiling both the long range and short range data with total station data to the correct reference origin and registering the point cloud data. Filtering and cleaning tools ensured that only the required data was left in the point model prior to further processing. We then used Pointools and Rhino software to create a series of high resolution orthographic rectified images of each wall of the building and a plan drawing showing scan locations. The orthographic images were then traced to provide an accurate CAD drawing of each elevation. 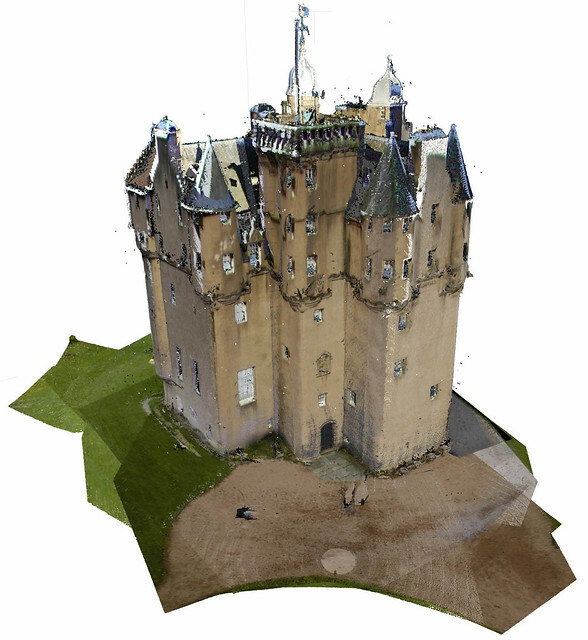 The final deliverables package consisted of over 5Gb of data, including 4 orthographic rectified images and respective elevation drawings, along with a point cloud model of the castle.